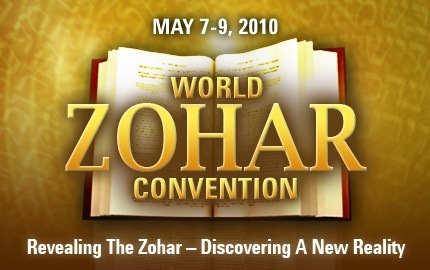 A question I received: We have the World Zohar Convention that’s going to be meeting the second weekend of May. What makes this convention so different from the past conventions considering both the time we are in now and what we are being taught this time? My Answer: We have already had many conventions. This time it is very unique because first of all we’ve grown a lot; many people are beginning to hear about us. We’ve reached a point where people realize that they’re not really capable of exiting this global crisis. We reached a global crisis in every human engagement. Now we see that everything is broken: Family, education, the relationships between people, the way we relate to nature, to the ecology and our economy, the industry and what it does, even a person himself. This crisis is really global. This state is actually a good state which we had to reach because only from this point of crisis can we find the point from which we can ascend to a really good life. Not just a good life here in this world but eternal life, a life of feeling and sensing the Upper World where we even transcend the point of life and death in our current perception and feeling of life. We actually rise above this feeling of life within the body. It is not just getting out of the crises, it is acquiring a life that is essentially, fundamentally different then what we experience now. All of this is done by a very unique Upper Force that is hidden in The Zohar. Everyone has heard about The Zohar. People have heard that it is some sort of special, unique book, a hidden book, or a book that contains secrets. People have heard about The Book, but in general, people are still just talking about it; they don’t really know what it is. Today, we have the opportunity to actually use The Zohar; to use the power that it gives us; to raise ourselves above this crisis, to raise all the people from the situation they’re in whether it’s depression, or problems with children, problems with health, education, ecology, or the economy- everything that happens. All of this can be corrected only by this Upper Force that is within The Zohar. This is why I am very happy that soon there will be a great World Zohar Convention in America. You know, “Zohar” literally translated means Light. And I hope that as a result of this meeting, of this conference, we can really bring the Light to all of America.